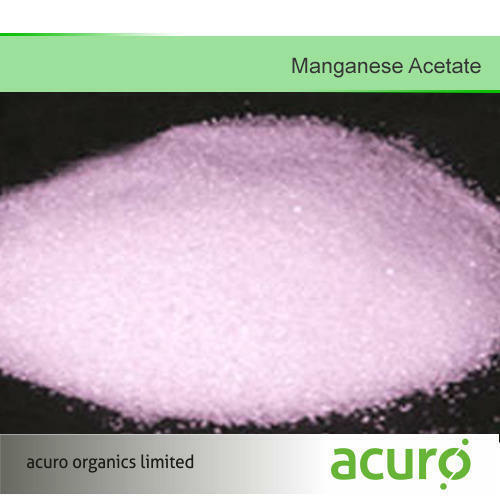 Manganese acetate is used in a wide variety of different reactions including oxidization reactions, vinyl ester synthesis and polymerization reactions. With quality as our main focus, we have been able to set up a new benchmark of excellence in the chemical industries. Our team of competent engineers are ever-ready to meet all the challenges and provide best solution to our customers. Apart from manufacturing, we also source variety of chemicals from the leading manufacturers of the world. All the products are tested on variety of parameters to ensure international standard of quality. Banking upon the industrial know-how and years of experience, we are capable of meeting all chemical requirements of our clients with utmost precision and within stipulated frame of time. With our strong believe in strong business ethic, we are committed to bring you high quality chemicals at extremely competitive prices.